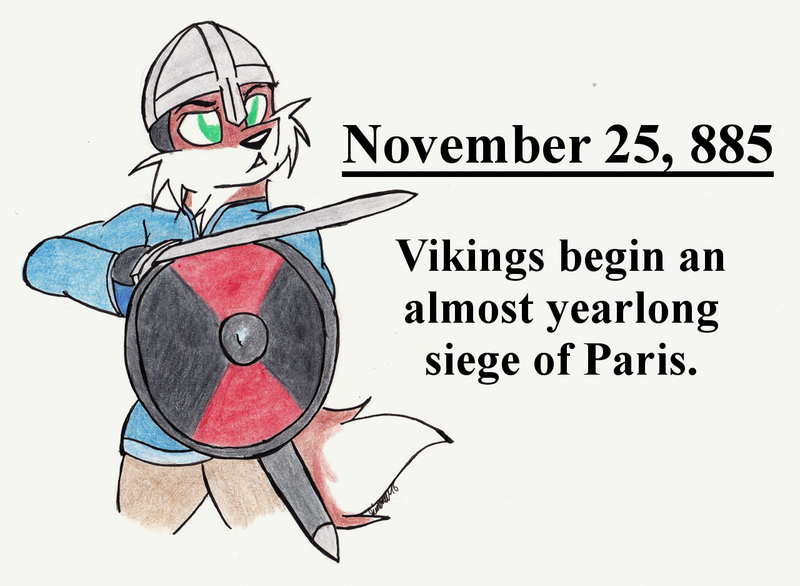 On November 25, 885, a force of Vikings from Denmark and Norway sailed up the Seine and laid siege to what is now Paris, France. Initially demanding tribute, the Vikings were denied payment by the outnumbered Franks and the siege began. Paris and its heart, the Île de la Cité, held strategic value as two bridges which crossed the Seine prevented passage of ships further upstream, including the Viking ships despite their shallower draft. The siege continued throughout the winter with no counterattack by the cities defenders, a weak attack against the Vikings by a relief force from Germany (which had been exhausted after marching through the winter weather), and failed attempts to breach the city's defenses by the Vikings. In April, a contingent of the Viking force lead by Sigred left, leaving Rollo and the majority of the force. In October, an agreement was reached between the Vikings and Charles the Fat, the Carolingian emperor, to end the siege. The Vikings were given 700 livres of silver and allowed to travel up the Seine to raid Burgundy, which was in revolt against Charles at the time. As a result of the siege, the Carolingian dynasty saw the its decline. Following the death of Charles in 888, Odo, Count of Paris, was elected by the Franks as king. Odo had been a key leader in the defense of Paris and opposed allowing the Vikings to continue their voyage up the Seine. Later raids by Rollo eventually led to Charles the Simple, who had been crowned King of West Francia by a faction opposed to Odo in 893, agree to cede him territory as part of the Treaty of Saint-Clair-sur-Epte in 911. In exchange for the county of Rouen (a region later known as Upper Normandy) Rollo and his men would defend Charles' kingdom from further attacks. Rollo's descendants would go on to form the Norman people and the Duchy of Normandy. Rollo's great-great-great-grandson would become the first Norman King of England, William the Conqueror.